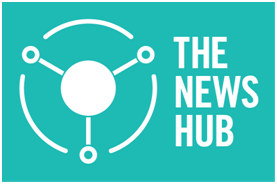 To celebrate the launch of The News Hub - a new international open journalism program, our attention was drawn to this playful viral video which we thought we would share with you. Opening with a news broadcast detailing the theft of the Queen's iconic Corgies - a frantic scene showing a couple arguing unfolds. A woman carrying said corgis leaves them with an unsuspecting civilian who finds himself the subject of a chaotic police scene. The powerful clip then takes a turn for the amusing as none other than her royal highness Queen Elizabeth II turns up to confront the alleged thief. The clip captures how user-driven the news is now thanks to devices like mobile phones - where the news is quite literally unfolding in front of us every day. This is why The News Hub is a perfect creation for today's society - this free, personalisable service allows users to follow their favourite journalists and select the types of news stories that interest them. The ever-expanding News Hub now has contributors in nearly 25% of the world’s countries and receives traffic from over 200 countries worldwide. This free news market is comprised of journalists, bloggers, activists and casual users who witness news unfolding in front of them. Thanks to the scale of The News Hub and the variety of users, it means news lacks a regional bias and it allows users from all over the world to reveal the news that is affecting them. Contributors can publish with a real freedom of expression in real time, resulting in an impressive new medium outside traditional national presses. As a tool The News Hub seems like a powerful way to provoke debate, challenge the status quo, and support independent journalism on a global platform. Check out The News Hub here.You can watch and share the amusing Corgi debacle below.